want to come back and see you do it again. At PRIME Fine Catering we specialize in custom designed menus that are carefully planned and eloquently designed to meet our clients’ specific requests. 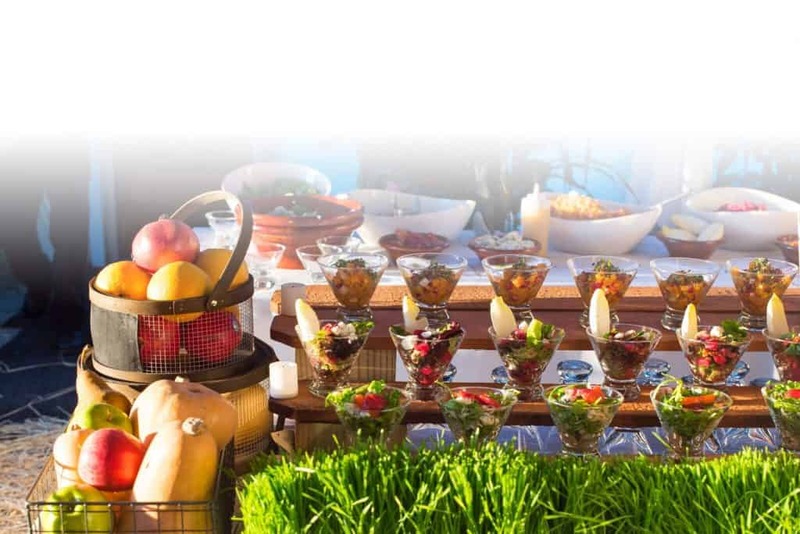 Whether you are looking for a simple yet elegant buffet or an eight course black tie affair, we will exceed your expectations with all of the catering services that we offer. We have a professional staff of expertly trained chefs and a team of professional servers that pay impeccable attention to detail to ensure that your affair will be outstanding and unforgettable. We use only the freshest ingredients and the highest quality provisions to make your culinary vision come true. We can work closely with you to design a menu for an intimate dinner party or a casual gathering, create an assortment of unique hors d’oeuvres for a chic cocktail party or work with you to come up with an original culinary idea for your event. Whatever you decide, it will be a truly memorable experience! Perfect presentation and an unforgettable culinary experience. If you are looking for the finest food, freshest ingredients and creative presentation, let us handle your next affair. 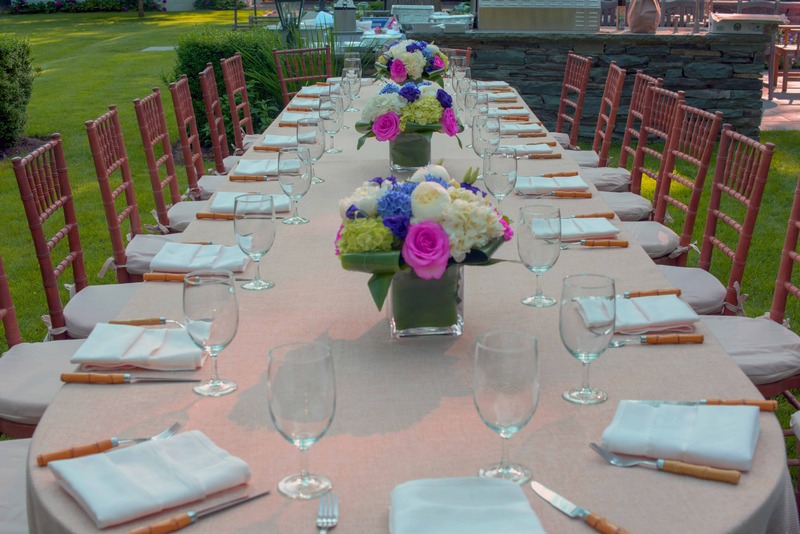 PRIME Fine Catering offers three menus that feature a variety of options to choose from for your next catered affair. 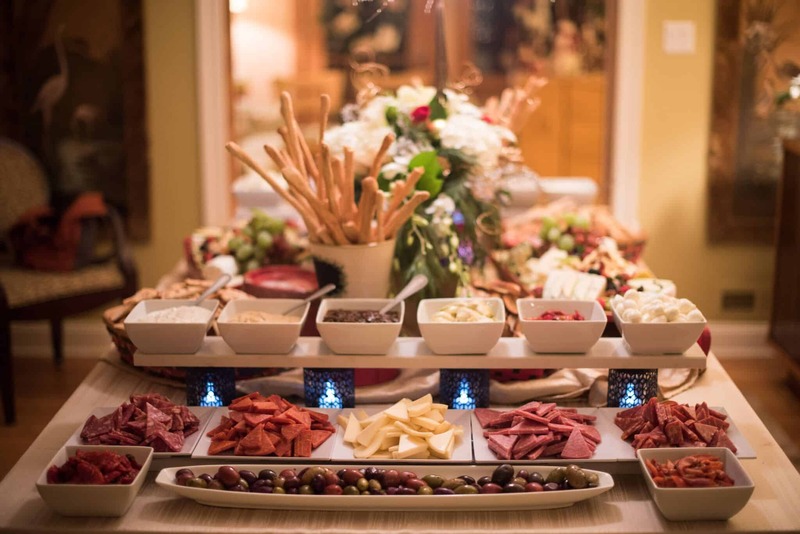 Our casual entertaining menu includes party hero sandwiches, cold cut platters and a full selection of hot entrees including fresh seafood, delicious pasta, prime meats and savory side dishes. It also features hot and cold hors d’oeuvres, party platters, salads, wraps, and ciabatta and finger sandwiches. Whether you are hosting an office breakfast, a corporate luncheon or a business dinner, the PRIME corporate menu has many different delicious options to choose from. From fluffy scrambled eggs, fresh baked muffins, bagels, croissants or a PRIME Omelet station, the breakfast options are endless. Lunch options include over ten different types of salads, an assortment of sandwiches and many other options. Hot buffets are also available for lunch or dinner in a diverse selection of chicken, pork, beef, seafood and vegetarian dishes. Whatever you decide, PRIME offers a corporate catering display that will impress your coworkers and the boss! Our casual entertaining menu includes gourmet hero sandwiches, and a full selection of hot entrees including fresh seafood, delicious pasta, prime meats, savory side dishes, and simple desserts. It also features hot and cold hors d’oeuvres, party platters, salads, wraps, and ciabatta and finger sandwiches. 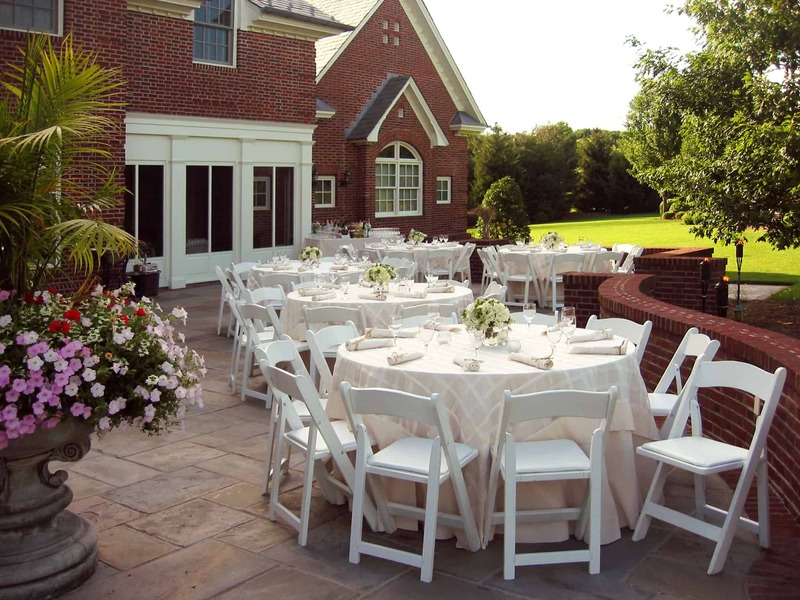 PRIME Fine Catering also offers clam and lobster bakes, cooking classes, professional chefs, full wait staff, bartenders and full rental services. Contact PRIME Fine Catering to make any event perfect! We have been using PRIME for a few months now and the whole office is loving it. I had seen them for some time but they are a tad far from the office so I never gave them a second thought until I learned a few months ago that they delivered. We checked and they were willing to deliver to our office. After trying them the first time we were hooked!